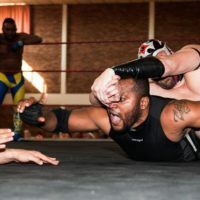 As the APWA is the hottest wrestling promotion in Africa, many talent come to the APWA seeking opportunity to compete with such a high class standard on competition. Zephi is one of APWA’s fresh and new superstars. Representing the DRC/Congo, this guy doesn’t talk much – he backs it all up in the ring. Zephi has a wide following over Africa, and has become a star on the rise. Joining forces with his tag-team partner “10 Rand”, these Congo boys love stacking up the wins in the APWA tag-team division. He is as fast as an African cheetah and is very impactful. He has put on some of his best matches in 2017 and has an exciting future here in South Africa. 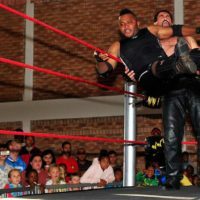 Zephi and R10 have eyes set on tag team gold, however Zephi has a dream of one day becoming APWA Heavyweight Champion. With the insane skills and highflying tactics Zephi poses to be a real crowd favourite and a threat to his competition. Everyone can tell this talented wrestler is champion material. Zephi aims to make his country proud and inspire the many children of Congo to reach their dreams.